What exactly is Time for Three? I'd call it a group of serious musicians, geeking out on everything that finds favor with their ears. The three of them – violinist Zach DePue, violinist Nick Kendall (grandson of Suzuki pioneer John Kendall) and bassist Ranaan Meyer – met as students at Curtis, but it's pretty difficult to pin down their "genre." Amazon gets close, calling it "a fusion of classical and fierce folk fun." When I spoke to Zach last week over the phone, he didn't have a tidy answer, either. "I'm not really one who is able to say what its place is on the shelf in music," Zach said of the group's new album, Three Fervent Travelers. "I think we're just doing what we like to do." At 30, Zach also serves as concertmaster of the Indianapolis Symphony. Add that to 22 weeks of touring for Time for Three, and Zach's one busy fiddler. "I grew up learning a very distinct style of Appalachian fiddle tunes, for the purpose of playing with my family," Zach said. "Appalachian-style is not as swung as, say, a Texas-style fiddling; it's a northern fiddle style, and there are endless, countless tunes to learn." "I learned all those by ear from my brothers," Zach said, "they literally sat down with me when I was nine, and I learned by trial and error: I play it for you, you play it back, and then go back and forth until you have the tune. I remember Wallace teaching me 'Wake Up Susan' for two hours down in the basement." That kind of early experience has allowed the members of Time for Three to arrive at their tunes through a combination of both live experimentation and written arranging. "We compose with the instruments in our hands," said Zach. 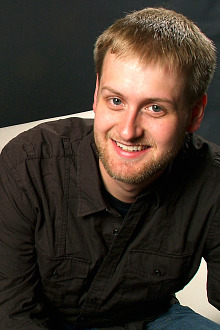 For their new album, the group brought in another Curtis friend, Steve Hackman, a conductor, pianist and singer-songwriter. "He's been delving into the pop world a little bit, but he still brings that classical attitude to everything." 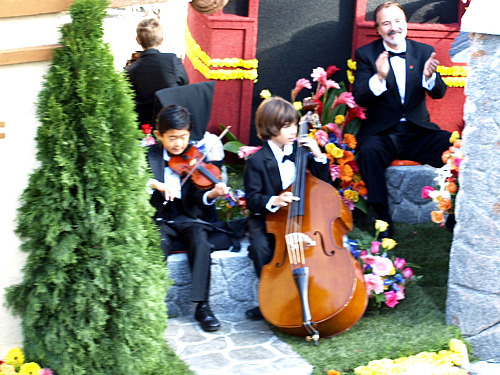 He helped them with their arrangements and also created an arrangement of Imogen Heap's "Hide and Seek." As with all their arrangements, the final edit happened when they went through the song bit by bit, taking this out and adding that. "We like to say we have a garage-band mentality," Zach said. "That really is our process, though, through trial and error, with the instruments in our hands." Having both the classical and garage-band mentality, they also like to break the rules in both realms. "We don't like those rules, as a group," Zach said. "I find that we like to be more about expression and by any means necessary." "If Ranaan brings a straight-ahead jazz tune, for instance, or a melody that maybe Ranaan intended for jazz, we'll play through it. As we play through it, Nick will say, 'Man, it works well with this beat,' and he'll start chuckin' a beat, and I'll do it again. 'That feels a lot more up my alley,' and then I'll join him on that, and Ranaan will say, 'Wow, I didn't figure this piece like this, but this is cool,' and he goes with it," Zach said. "This is opposed to, 'We're going to play the head and the deck, you're going to take the solo, and then if you and Nick can trade off two-bar phrases, and then I'll take a bass extension solo and we'll play the ahead again in unison, with a trash-can ending.'" In other words, even garage bands have their standard vocabulary, and "Time for Three" likes to stand all of it on its head. "We try to re-invent the structure," Zach said. "We never say 'you'll play through it once,' it's more like, 'it feels like you should play that through half, and take it into this cool thing we just jammed out on,' so it never follows a structure. It ends up being more thought-out and more through-composed, rather than saying 'this session will be completely open to you improving; we'll be laying down harmonies for you.'" "We've also found that free-styling has been successful," Zach said. "Rather than stopping and talking to an audience, we literally will free-style our way into the next tune, based on what's going on in the room. There is no structure to that, whatsoever. But there is an art form to it and the audience has to be open to it, as well. They have to come expecting it." "We've been experimenting with this with outreaches with high schools" Zach said. "The high school kids – when we ask, 'Is there another question? '...about the third question they'll say, 'Yeah, can you guys just keep playing?' So we just we stop talking and go back to playing." Much of "Three Fervent Travelers" is recorded live – remarkable for the energy this creates and for the fact that these guys joyously perform their stunt-filled high-wire act with no safety net. Listen carefully, and "The Simpsons" theme floats out of the "Orange Blossom Special"; a thread from Dvorak's American quartet peeps out of a tune about Pittsburgh called "Of Time and Three Rivers." "We pull from a lot of things, and we all listen to a lot of different music," Zach said. "Right now, for example, I'm big on Muse. They're basically U2's opening act right now. Their music is very orchestral, and it's very clear to me that they are classically trained, in one way or another. They have a pianist, and they totally lift classical pieces. I've heard Rachmaninov in their music; I've heard Chopin in their albums, not even re-done; the Tchaikovsky piano concerto....They can be like Bruckner, in terms of the epic quality of a lot of their tunes." "It's funny because for years, Ranaan and I didn't listen to a lot of music because we didn't want any influences on what we were creating," Zach said. "We wanted it to be purely organic, from us. But it's been hard. Once I hear something that really catches my ear, I have to go discover it. It's just one of those things." One of the songs they discover on "Three Fervent Travelers" is Imogen Heap's pop hit "Hide and Seek." To me it is a song with a mechanized, monochrome aesthetic – but it becomes a poignant exploration of sound and harmony in this trio's hands. "We spent quite a bit of time getting that right – or getting it where it is," Zach said of the "Hide and Seek" arrangement. "I shouldn't say 'right'; it feels good." "We bring a chamber music attitude to it," Zach said of their work on this piece. "If we handed the piece off now to a student group, there would be a lot for them to learn about playing together, creating homogenous sound together, just like you would in a Beethoven quartet. We're kind of proud of that. We hope, in the future, groups will play this stuff." It's not available yet, though. "We're working on that," Zach said. "We need to work on that, because it's fun to hear other groups play what we do." Speaking of students, how does one work toward being a successful fusion musician? "I think that for any instrument, the best starting point is training classically, for better or for worse, because it's so refined," Zach said. "Hands down, it's the hardest to play well and sound good. If anybody ever argued that, I would be strong-pressed for them to prove that, by studying jazz, you could then cover, on a violin, all styles of music. I feel like if you start from classical, you have the capability, the tools, that can allow you then feel jazz, to feel bluegrass, to understand it. Certainly the guys that pushed the envelope for the violin – Bach, Paganini, Ysaye, Bartok – those are classical composers. 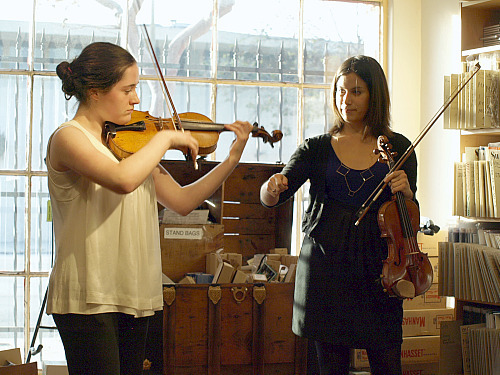 Classical been very successful in pressing the technical aspects of the violin forward." "My family is almost a study in what happens when you start from classical but you're open to all styles," Zach said. Zach has three brothers: Jason, who is in the Philadelphia Orchestra, Alex, a rock fiddle player who plays with electric guitarist Steve Vai, and Wallace Jr., who is also a violinist. "We all come out of classical music," Zach said. Nothing is better than classical training, from purely technical perspective, to give you capability on the instrument, he said. As for cultivating that creative side and learning to play in different genres: listen, and imitate. "Listen to Stephane Grappelli, listen to Ricky Skaggs," Zach said. "Listen to different artists and mimic what they do. Then also listen to other instruments and try to somehow recreate that on your instrument. Obviously, there are some limitations, but I think just learning by ear, trying to capture styles, is one of the first steps." This March, "Time for Three" will be premiering a new concerto by Chris Brubeck, son of great jazz icon Dave Brubeck, with the Youngstown Symphony, then playing it again in June with the Boston Pops. "It covers a lot of different styles of jazz, in the jazz idiom," Zach said of the concerto. "We've been getting our mind wrapped around that type of world and living in it, so it's going to be fun to recreate that piece. Of course, in that idiom, Chris always says, 'Man, if something doesn't fit well on the fiddle, just change it...' He's very cool, but I always like the challenge of doing what he wrote, first and foremost." -- There were many stories this week (Here's the one in the Miami Herald, and one from NPR) about blind violinist Romel Joseph, 50, who survived for 18 hours in the rubble of his own music school in Haiti – playing in his mind every concerto he knew in order to keep his sanity before he was pulled from the collapsed building. His wife, Myslie, who was 26 and pregnant, died in a room two floors below him, and the New Victorian School, which he had founded 1991 in Port-au-Prince, was destroyed. According to Claire (Rott) Lee, who used to accompany Romel at CCM, checks or money orders can be made payable to the Walenstein Musical Organization Inc. and sent to 2817 NW 168th Terrace, Miami Gardens, FL 33056. School supplies may be sent to the New Victorian School, c/o Victoria Joseph, 18320 NE Eighth Ave., North Miami Beach, FL 33179. We are considering what members of Violinist.com can do, please submit any ideas to this discussion thread. -- Cellist and longtime Curtis cello teacher Orlando Cole died Monday at the age of 101. Cole was a student in Curtis's first class in 1924, and he played in the Curtis Quartet for more than 50 years. He taught many of today's finest cellists, including Lynn Harrell. Violinist David Russell wrote this blog in memory of Orlando Cole..
-- Violinist Itzhak Perlman gently admonished a Los Angeles audience for clapping between movements of Mozart’s Sonata for Violin and Piano in A major at Cal State Los Angeles' Luckman Theater on Saturday. He came back onstage with “an urgent message from Mr. Beethoven." Apparently, Mr. Beethoven felt the applause between movements was breaking the music’s mood and wanted to voice his concern before Perlman began playing Beethoven's own Sonata for Violin and Piano No. 7 (“Eroica"). -- The strike is over, and The Cleveland Orchestra went immediately back to work, with a concert in Miami featuring violinist Leila Josefowicz , who performed a violin concerto by British composer Thomas Adès called Concentric Paths. Here is Lawrence Budmen's review from the Miami Herald. -- Korean-American violinist Sarah Chang performed pieces by Brahms and Franck Friday night at the 14th annual Hennessy Concert in Hanoi. She also played a concerto written especially for her by American composer Christopher Theofanidis; here is the story. -- Hilary Hahn played Jennifer Higdon's Violin Concerto with music director Leonard Slatkin and the Detroit Symphony Orchestra last Thursday and here is the write-up by Mark Stryker of the Detroit Free Press. Of the concerto he said that Higdon “writes music in motion and music in Technicolor. In three movements, the 30-minute concerto unfolds largely in an infectious rush of kinetic energy, pulsating rhythm, gleaming hues and impeccable craftsmanship." And of Hilary: “It's hard to imagine a more persuasive soloist than Hahn, who put a high gloss on the pyrotechnics, from the evocative opening harmonics to the jumping jack intervals and the blazing finale; she also sang sweetly in the slow movement." -- “Glee" for fiddle? If you have always wanted to combine your violin playing with dancing, here's your opportunity to try out for the eclectic traveling show Barrage, which has been running for 15 years. The Calgary-based group is looking for violinists ages 18 to 27 who are in good physical shape (every show is a workout) and willing to go through several months of training for the show. I informational poster about the auditions. If you are interested in auditioning, e-mail Dean Marshall at barrageaudition@gmail.com. -- Rachel Barton Pine won Best Classical Entertainer 2010 from the 29th Annual Chicago Music Awards on Sunday. -- Violinist Anne Akiko Meyers has been touring this month with jazz trumpeter, Chris Botti. with concerts in Greensville (SC), Morristown (NJ) and Portland (ME) Durham (NC) and West Palm Beach. -- Teenage violist Jordan Miles alleges that plain-clothes Pittsburgh police brutally beat him and yanked off his dreadlocks because, as the criminal complaint says, Miles was standing against a building "as if he was trying to avoid being seen." Thinking he had been abducted, he said he was surprised to find that he had been arrested, according to the Washington Post. Chris Thile is a musician who gives himself over fully and completely to his music; to watch him perform seems almost like a séance, where he's simply channeling this thing called "Music." The Los Angeles Chamber Orchestra gave Thile's mandolin concerto its California premiere last weekend, something I'd been anticipating ever since talking with Chris before the concerto's world premiere with the Colorado Symphony in September. For his mandolin concerto ("Ad Astra per Alas Porci" – "To the stars on the wings of a pig. "), Thile said he didn't want to be different for the sake of being different. "The composer's duty is to be conjuring a sense of inevitability," Thile said. "Even if something is moving you intellectually, it needs to be moving your body." And clearly, Thile was feeling every ounce of this concerto; he was "grooving" with the orchestra, whether he was playing or not. The music seemed a landscape completely of Thile's own making; meandering in both rhythm and pitch, but always intentional and somehow natural. In the first movement, his lightning-fast mandolin runs spilled into the first violin section, a spiccato run rather fast for a whole section, but well-done, LACO violins. 'Does he actually have six fingers?' I wondered at one point; they moved fast enough to give that illusion. As the movement progressed, many ideas came in and out of focus: a swirly woodwind statement settled into something waltz-like, with gentle mandolin accompaniment, then just as it became recognizable, it morphed into something else. The second movement reminded me that here in the 21st century, the sounds of birds and horse hooves no longer dominate our environment. If we take in our true sonic world, we might hear it in way Chris does; his inspiration for this movement was the sound of a New York City F train. Specifically, the whine of the train moving forward. As it picks up speed, it hits three ascending notes, settling into a faster speed, where it oscillates between two high notes. "It does it in retrograde when you slow back down," Thile explained at the pre-concert lecture, laughing. The third movement seemed the most tightly woven of them all, the orchestra and mandolin more integrated. For an encore, Thile played Bach's D minor Gigue. Anyone who has played Bach knows that it is quite a feat to work this piece to the point where the notes spill like water, like a fast-moving stream. It doesn't feel frantic or rushed; it feels inevitable. The speed of water is just the speed of water. Somehow his Gigue, too fast for human feet, still dances. "It took Bach for me to figure out there was something mighty and substantial in classical music," Thile said before the concert, sitting with mandolin in hand, his left foot resting over his right, alongside conductor Jeffrey Kahane. "It always seemed to me that it wasn't grooving – which is very simplistic. It grooves, in a different way. To me, it was a revelation; it was mesmerizing to my core." The desire to learn Bach's solo Sonatas and Partitas for violin pushed Thile to teach himself to read music, he said, as learning Bach by ear "was slow-going." "It wasn't enough to listen and enjoy," Thile said of the Bach. He was like a kid who wants to take apart the stereo and see how it works, down to the last part. "Whenever you do that, the stereo's not quite the same when you put it back together." For his second encore, Thile played – and sang – Dead Leaves And The Dirty Ground from his album How To Grow A Woman From The Ground. I'm hoping for a recording of Thile's mandolin concerto (and his Bach!) It deserves a lot more than one listen. I can only say that I hope that more music can be written with this kind of integrity. We don't need more "PhD music" for our orchestras; we need the kind of music that truly makes us look – and listen – to our modern world, to hear it anew and to feel it more fully. Yesterday afternoon, Robert and I made it our duty to fatten the classical music booster section in the studio audience for the Tonight Show with Conan O'Brien, with Hilary Hahn as the guest performing artist. So we drove over to Universal Studios from our place in Pasadena -- with no traffic on a sunny day -- and took our seats in the studio that seats about 500. As people filed in, I wondered how many of them were big classical music fans, and on the other hand, how many had come to see Rob Lowe, or just to see one last show before the whole thing possibly gets cancelled. Hilary's mom and dad? Definitely classical music fans. The lady in the high boots and leather jacket? Mmm. She's possibly here for Rob Lowe. The next lady in the high boots and leather jacket...Okay, let's just say we were in the minority! No matter, everyone gave Hilary a hearty cheer (made heartier by my screaming myself hoarse) and off she went. Some thoughts: this is not the easiest venue for a performance. They tape this as if it is a live show. The curtain opens and BOOM, you're on, and all those double stops better be ready. Not only that, but all those great camera angles we see on television are the result of about four cameras, some which roll around like golf carts with others suspended from booms. How did she keep her concentration, with all those cameras wheeling around, zooming in and out? There was so much motion, yet there she was, centered, poised. Kudos, Hilary. And what a win for classical music, that she was scheduled -- and rose so elegantly to the occasion -- on this night when so many people were watching. So here is the video. Currently, the video of just Hilary is not available, but when it is, I will replace it. Hilary's performance can be found about a half-hour into the program (you can skip, you'll just have to sit through some commercials) at 36:42 to 41:12. As for the rest of the show, 1:36 into this video, you can see Robert and me in the audience, up three rows, and over three seats is me, then four seats is Robert. Woohoo! After that is some raunchy humor. The segment with Rob Lowe was actually pretty entertaining and family-friendly, it's at 20:50. Today we are resurrecting our weekly news update on Violinist.com, which we plan to post every Wednesday as "Violin Community News." Old-timers may remember that we used to run a "News and Gossip" column by Darcy Lewis, and this is a new incarnation of the same idea. Why now? 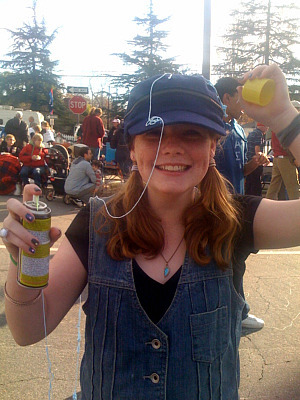 Well you can credit LA-area violinist, teacher and Violinist.com member Elise Goodman. I spoke to her at a masterclass Sunday at Metzler Violin Shop (in which her young student was playing a most impressive Bach D minor "Allemande") and she said something to the effect of, "I lived for the News and Gossip Section, where did it go?!" Well, we do have (and will continue to have) a News section of the Discussion Board, but she missed the weekly updates. So Elise, this is for you, and of course, for everyone! We are working on a submission form for Violin Community News, but until we launch that, just e-mail me with any news items –- WITH LINKS, this is the Internet –- you would like me to consider for inclusion. I will be looking news items such as: important news stories, violin-related events and conventions happening in the near future, important concert appearances, current competition updates and winners, orchestra news, luthier news, CD releases, personnel changes in orchestras or universities, deaths, births, marriages... You will increase your chances for inclusion in the News by limiting your submission to two to three sentences or less, including a LINK, and checking your facts so your submission is extremely accurate. Also, I will give preference to Violinist.com members. (Not a member? No problem, register here, we now do take all e-mail addresses). I hope that our Violin Community News updates will help keep everyone up-to-date on what's going on in the violin world, and I welcome your feedback about the kinds of things you would like to see in this weekly bulletin. It is a work-in-progress! 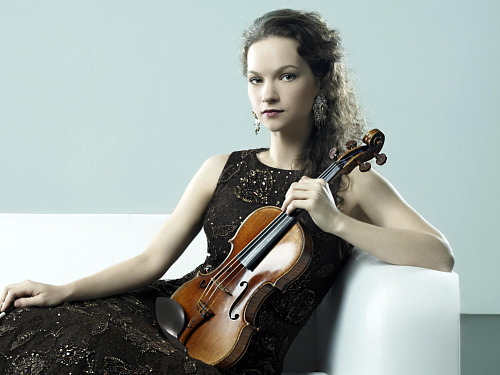 -- Don't miss the Tonight Show on Thursday night, which will feature violinist Hilary Hahn. (If you do miss it and want to see her performance, click on the above link.) And yes, it looks like the show is still scheduled to go on with Conan O'Brien, here's a story about it. -- The Cleveland Orchestra is under threat of a musicians' strike, with "a strike or other work stoppage becomes a possibility Monday," according an article in Tuesday's Plain Dealer. The orchestra is scheduled for two residencies, one at Indiana University next week and another later in the month in Miami, and both are up in the air as a result of the dispute. -- The LA Times reported today that the board of the Long Beach Symphony's board members "have voted to ax" the 2010-2011 season unless the orchestra and the musicians' union can reach an agreement by Jan. 22. Apparently the board wants to change the musicians' current contract. -- Great Wall International Music Academy (GWIMA) is now accepting applications for its month-long summer institute, held in Beijing, China, for gifted string players age 10 to 25. 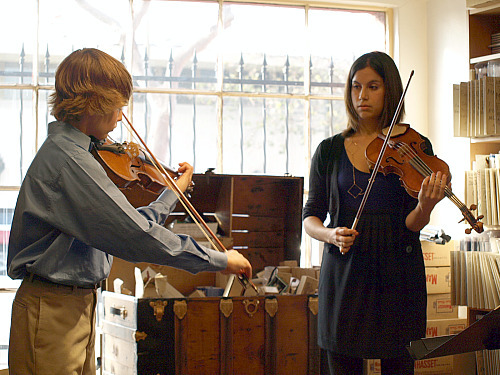 It was founded by Violinmasterclass.com pedagogue and Cincinnati College-Conservatory violin professor Kurt Sassmannshaus, along with the Starling Project Foundation in 2005. Here is a link to the application, due before Feb. 28. -- Violinist Amy Barlowe has a new website, and a new book for intermediate violinists called 12 Etude-Caprices in the Styles of the Great Composers. The ideas is to teach students about style and genre, and in addition to the etudes that Amy composed, there are many pages of illustrations and performance-practice tips. With a new album out today called Bach: Violin and Voice, I expected violinist Hilary Hahn to tell me that the violin is the closest-sounding instrument to the human voice, something I've heard many times before. I should have known not to expect the predictable from Hilary, advocate for the Schoenberg concerto, interviewer as well as performer on YouTube and possessor of an anthropomorphic violin case. Her ideas about Bach's music for violin and voice started formulating when she was four, listening to one of her father's local choir concerts. Her interest was piqued when a soprano stepped up to sing an aria, then suddenly a second person stepped up – to play the violin, the instrument she'd been learning for just a few months. “The way the instrument's sound wove in and out of the vocal line – sometimes plaintive, sometimes playful, always supple and alive-- seemed magical beyond belief," was how she described that first encounter. Separate, but weaving a beautiful tapestry together. For this album, Hilary weaves her violin solos with the vocal talents of baritone Matthias Goerne and soprano Christine Schäfer, who sing arias from a variety of Bach sacred cantatas. I still enjoyed what she said, when I asked her, over the phone last week, how the violin and voice compared. Hilary was speaking from Nashville, where she was giving another performance of the concerto written for her by Jennifer Higdon. Hilary: I think anything that makes music relates back to the human voice, in a way, because we're familiar with speech and with singing, from a very early age. I think the rhythm of how we use our voices informs how we hear music. So therefore, accidentally, without even without thinking about it, we all somehow refer back to the voice when we're thinking about how we want to interpret something instrumental. Hilary: It's so ingrained: the nuances of speaking, and the range of pitches. There are so many songs around us, all the time, so much voice. I think it's almost automatic, that we connect, as instrumentalists, to voice because it's such an inherent part of the human experience. When I was growing up, I was always encouraged to look to singers for (inspiration) for phrasing, and I didn't realize that singers are told to look to violin and stringed instruments for phrasing. It was so funny, I was having a conversation with a singer I was working with, early on, and I said, 'So great to work with you because now I can finally equate exactly what I've been told all along about modeling after singers.." And he said, “What? I was always told to model after violin!" There is often a connection drawn, and I'm not exactly sure what direction that comes from . Laurie: The one thing that is different about the voice is that it can make words. How was it to work with that element? Because when we play Bach violin works, for example, there aren't words written for our Sonatas and Partitas. Hilary: We could write them and sing along! (she laughs) But yes, you're right. The words change how the note comes out. The articulation of a word or consonant changes when the tone begins, so you have to think about that. It's also interesting, in these arias, that the violin is so central at the beginning of arias. The violin sort of states the theme and establishes the melody, along with some of the other instruments that are also playing. So it's tricky to play the violin part for these arias because the singer often sings the same thing later, but they haven't yet sung it when you start. So you have to think ahead to how the singer sings it, so that when the singer comes in, they're set up properly and they don't have to make any big changes in what's going on . But they also have to be free to establish their entrance, so you can't do everything..
Laurie: You can't steal their thunder. Hilary: You have to prepare it in a way that's not going to be jarring when they enter. And it's so hard to know if you're doing it right, until they actually start. It takes a lot of rehearsing. You have to know the singer very well, and you have to be able to translate the differences in pronouncing words in a melody to articulations and violinistic technique while you're playing the same melody. The more I worked on these pieces with these singers, moving toward recording them, the more I realized that role is really important. It's more of a supporting role, but you're also a soloist, at the same time. That' a fine line. Laurie: Did your approach change, as you progressed with the rehearsals? Hilary: Absolutely. Not the idea of how I was going to work with the singers, but the way I played it. I wanted to leave the interpretation up to the singers, to make it possible for them to sing the arias the way they wanted. I wasn't about to say, 'Oh, well it works better for the violin to play it this way, why don't you sing it this way?' They have words to worry about, so they have a little bit more going on. And they have the limitations of breath – although these singers are not limited at all -- but there are certain physical limitations in singing that you don't really have in instrument playing. It flips the other way around, too; there are things they can do that are very hard for us to do. And I just wanted to make sure that they could do their parts the way they wanted to, so they could express what they wanted to, and put the emphases and the words in the notes the way they wanted to. So of course it changed because I was trying to (go with) the way they were doing it, and I didn't know what that would be, going into it. I started from a musical perspective with these arias, then I realized I had to think about what the words meant, too. You kind of know that you have to think about the words, but when you're actually working on it, and the singers are saying, 'No I actually think that this phrase should go here because of what the words mean in this whole sentence,' you realize, 'Oh, yeah! There's that to consider, too....' That's another reason I wanted them to set the interpretations. Laurie: You must have emerged from this with a deep understanding of these songs. Hilary: Yes, but nowhere near as deep as the singers have, because they're living the words as they sing them. It's a more internalized interpretation, from the literary perspective. For me, I have to make it work without the words, so I have to make my part sound right without the articulations or the tonal changes of the syllables. I know what the words are, I know what they mean, I know why the singers are treating them the way they do, but then I also have to turn off the words at times and just make the music work without the words. Because that's how it starts. It starts without the words. Laurie: You are usually the soloist, and this album clearly is not the same as an album of violin concertos, where you are center-stage. What made you want to do this kind of project? Hilary: I like chamber music, and I like playing a supporting role. This is a little bit more than a supporting role, but I enjoyed being able to share the decision-making in certain aspects of the (violin) solo part with other soloists. I had wanted to do a chamber album for a while, and I also wanted to record with singers, specifically Matthias, and later Christine. I was very happy to realize that I could do all of this in one album! I also love this repertoire. I was hoping for a long time to be able to put together a project like this, but I wasn't sure what form that would take. When I realized I could do it as a recording, I was very excited. Laurie: How did this group of people come together? 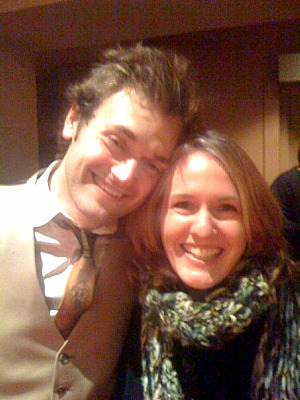 Hilary: I'd met Matthias on tour and I'd heard him sing – amazing voice. We got along well, so I thought it would be nice to work on a solid project together. I definitely wanted Christine on the project as well; I brought Christine on board as soon as I was familiar with her work It's nice to have different voices in an album like this. Also, I'd mainly worked with male singers and I hadn't had any extended experience working with female singers, in this repertoire. So I was happy to be able to work with two different voices and with those particular singers. I also worked with the Munich Chamber Orchestra and Alexander Liebreich – those guys brought in some great musicians to fill out the ensemble. An amazing group; I was so lucky. I really enjoyed working with them as well – they were just as important as anyone else on the album. We were really fortunate, it wound up being a good group of people. Laurie: Why Bach; what is it about the Bach choral music that inspires you? Hilary: You know, every fifth album I record Bach. (she laughs) I just realized, hey, you know, I seem to have a tradition of recording Bach every five albums. There is a lot of choral music, but there isn't a lot of choral music that has a defined role for the violin (like the Bach does). Since that's what I play, I was really interested in pursuing that. I just love these arias, they're so beautiful, and they're varied, too. It's possible to put together an album of the same type of music by the same composer and not get repetitive. You can still convey a lot of moods. When you're recording, you don't want it to feel like the same thing for an hour. There's so much of this repertoire, I could pick and choose and still have to leave things off because there wouldn't be room for all of it on one album. That was appealing to me, having that range. Laurie: I would be remiss if I didn't ask you about Baroque performance practice, period music, etc. What kind of approach did you take in this recording? Hilary: I think everyone on stage was doing it the way they felt was most genuine to themselves. In a way that sounds not-very-coordinated, but when you have a group of soloists together – I consider the continuo players to be soloists as well – who all are experts in some area of what they do, then everyone is going to have a little something different to offer. For my part, I'm not trained in period playing; even if I were to sit down and study those particular arias for years from a period player perspective, I would still not really know what I was doing in that style. It's such a scholarly and knowledgeable side of the field, I don't feel comfortable stepping into something I don't really know much about and pretending I know that much about it. I want to leave that up to the people who actually know. So I stuck with a style that feels most natural to me, and the singers weren't, as far as I could tell, singing in a particularly historical style. Matthias was not, Christina was referring a little bit more to it. Then we had the orchestra that played kind of in a period style, though not completely, because we weren't all doing it. And then we had the continuo players, who are so knowledgeable about that style. So I could ask them for their input, for ornamentation and other things, and I could try to incorporate that. So I think I learned a lot from them. It was interesting to try to bridge the styles and the individual approaches to this repertoire. Hilary: Just that these are great violin parts, for these arias. I would encourage students to learn the violin part if they're a violinist, or learn the continuo part if they're a cellist or keyboard player. If you're curious about this repertoire, you don't have to play just your instrument's part. You can look at the vocal part, play along with the vocal part. It translates really well to a lot of different instruments. Also, it's really enlightening to work with singers, because you realize the technical aspects of singing and you also realize how connected they are to their bodies, not just their interpretation. That's a different approach, and it's good to be reminded of that. They have a very close relationship with their bodies because the voice is generally a fragile instrument. 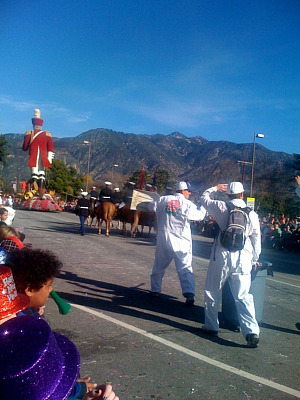 Happy New Year from Pasadena! 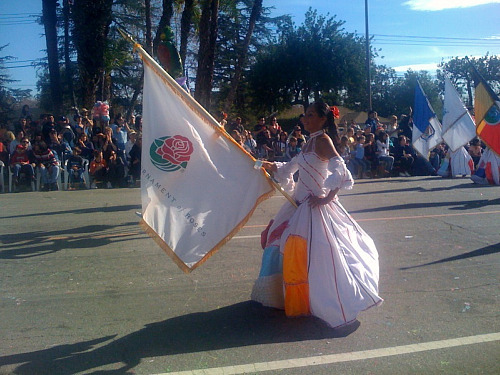 I hope we humans never decide that events like Pasadena's annual Rose Parade are too old-fashioned for our cyber-dominated, flat-screened world. 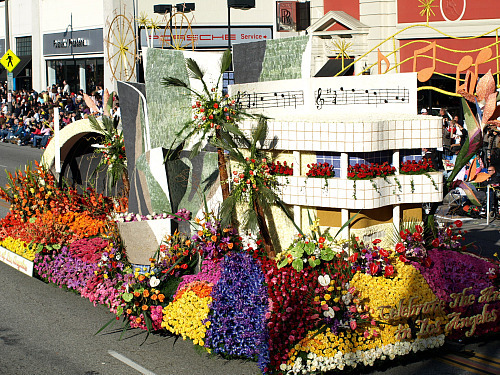 Because to have all those real, live people parade past me today, with live horses, and live-flower floats and bands making music in real time...it sure made the world seem round and real again. Imagine, right before my eyes, just feet away from me, so many crazy things happened today! 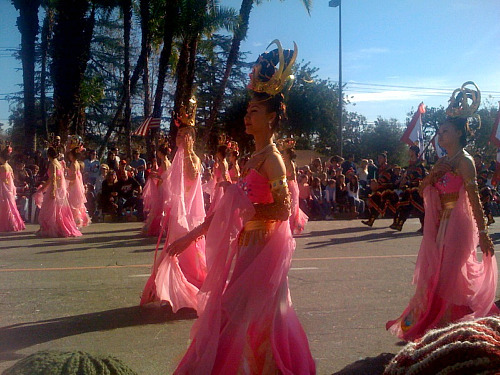 I live in Pasadena, and every year I get to see the parade, not on television, but with my own eyeballs. Since you all couldn't be there, I took pictures, and so did Robert. Robert had a nifty press seat at the front of the route, I had fun seats with friends, at the very end of the five-and-a- half-mile route. 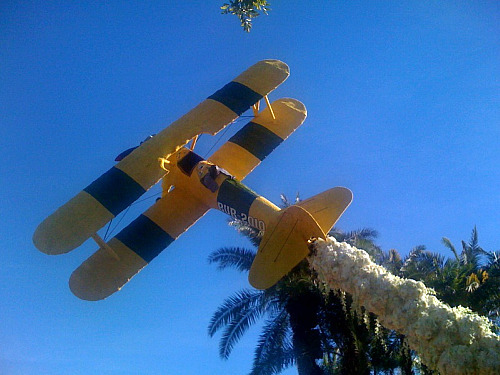 (The rest of Robert's pictures are here, on his ThemeParkInsider blog. His pictures are comprehensive, while you'll find mine to be...quirky?) Here goes! 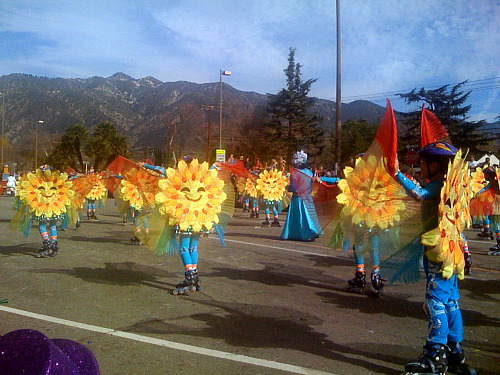 Robert took this picture: The City of Los Angeles's float, which, happily, made the arts their theme this year. If you squint a bit, you can tell that they tried to make Disney Hall in the middle, with the Hollywood Bowl on the left --both venues for symphony orchestras, among other acts. 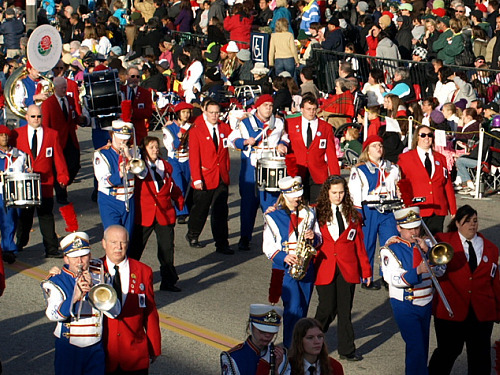 Yes, below you see a violin and bass, playing in a parade! There were a few more young string players, as well. 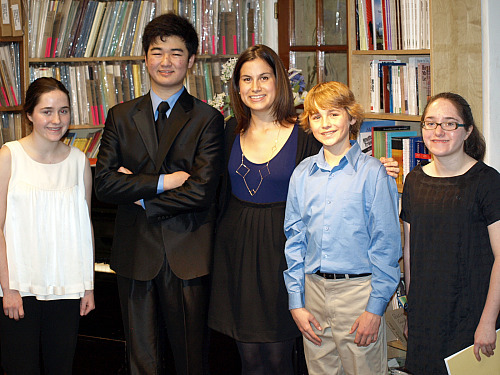 I was so happy to see these kids, part of Susan Pascale's South Pasadena Strings. The group also performed in a Christmas Eve program at the Dorothy Chandler Pavilion, here's a nice video feature on that concert, and on the group. 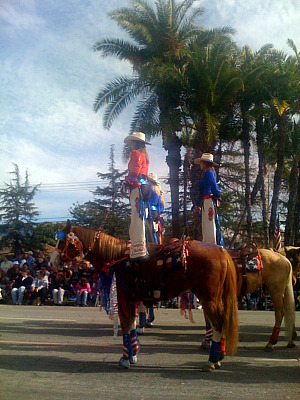 Often, people are performing tricks, like the man spinning a lasso around his horse, people on stilts, or these women, standing on their horses. When you see how high they are standing and what a wobbly ride it is to stand straight up, it seems a lot more tricky up close than it looks at a distance! 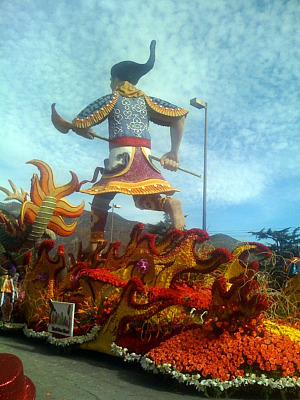 Here is the Taiwan float: this guy looks like he's on a mission. Check out the beautiful sky, too. These are all children on roller skates!